Scuba, freediving, snorkeling and swimming are all gear-intensive sports. Especially for scuba diving - that statement is an extravagant understatement! Your scuba gear is life-support equipment designed to allow we humans to explore an environment for which we are ill-suited - underwater. Selecting the right gear for your size, shape, and ability, is an important exercise. **Snorkel and swim gear used on the surface of the water must fit and be of the right resilience and durability to insure a good experience. **Scuba gear used underwater is life-support equipment. The difference between the right fit and the wrong fit can drive the success of your vacation at worst. At best, the gear you select can save your life. 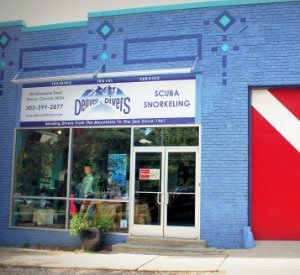 At Denver Divers you can rent or purchase a variety of gear from masks, fins, booties, wetsuits, lights, hoods, gloves, BCDs, regulators, and computers. You can buy scuba accessories like surface marker buoys, noise makers, books, slap straps, defogger, slates, mouthpieces, emetics, ear drops, ear plugs,...the list is endless. Look at our online marketplace to see for yourself. 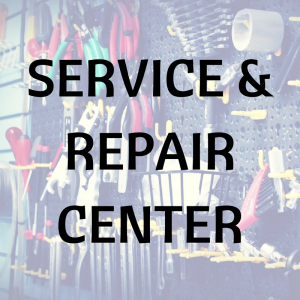 Before you buy your life support equipment, we want you to know, understand, and love your gear. That's what we do. Before we adopt a new BCD, regulator, or computer to sell, one of us uses it for a period of time before we commit. We all - owners, staff, and instructors -dive the gear we sell. Therefore, we recommend you at least try the BCD, regulator, mask, fins, and/or computer in the pool. Alternatively, rent the gear for your trip. If you like the experience, we'll apply the rental price to your purchase when you return. "Wow! EXCELLENT, EXCELLENT SHOP! I've never been to any business and been treated so well, with such attention paid to my well-being and comfort level (with training and purchases). These folks go above and beyond! It's not the super fanciest shop (but it is improving), but they make up for that in spades with the superior, crazy-excellent, customer service. You almost feel like a part of the family at Denver Divers. I can't recommend this shop highly enough, for experienced divers and those taking their first plunge!" - Tom M. Denver, CO.